Siri may be able to provide endless amounts of useful and useless information, but there are certain things that could be seriously dangerous if entered into the digital wizard. A few years ago, Siri was the source of endless fun by speaking into your phone with various requests and waiting to see what the comical response would be. 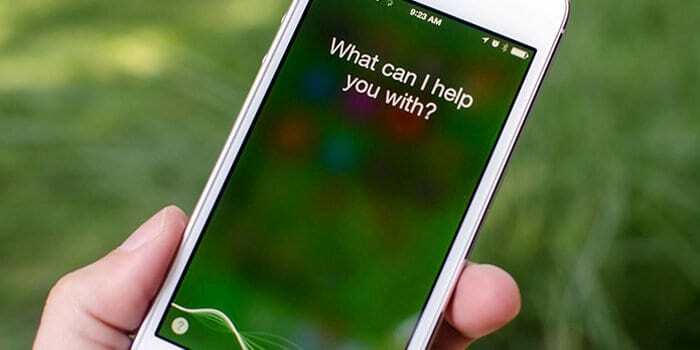 Now it seems there is a certain prank that’s doing the rounds on social media that could potentially be fatal if entered into siri, according to the Mirror. A horrendous and potentially extremely harmful prank has been circulating round on Twitter recently, urging you to say the number ‘108’ into Siri’s speaker. The phone number 108 is actually India’s equivalent off 999, so Siri will think you are requesting urgent help and put you through to emergency services. ALL IPHONE USERS SAY 108 TO SIRI THANK ME LATER ?? (One zero eight) you're welcome ? This could be extremely dangerous and potentially fatal if your prank call got through, instead of another person who actually requires immediate attention. Adding to the perilous nature of the prank, people are encouraging people to say the number into their phones and then close their eyes. This would mean a person would be unwittingly delaying another person’s chance of getting through, until horrendously it could be too late. Other numbers to definitely avoid saying to Siri include, 112, 110, 000 and 911 as these could also disastrously lead to a connection to emergency services. This stupid prank is idiotic at any time, but even more so when emergency services are already stretched so thinly and any time spent dealing with hoax calls is a complete waste. It’s worth remembering there are also serious consequences for contacting emergency services without the actual need. This is definitely an extremely brainless and potentially dangerous prank which should definitely be avoided.